Preheat the oven to 350 F. Drain fruit cocktail, reserving ¼ cup juice. 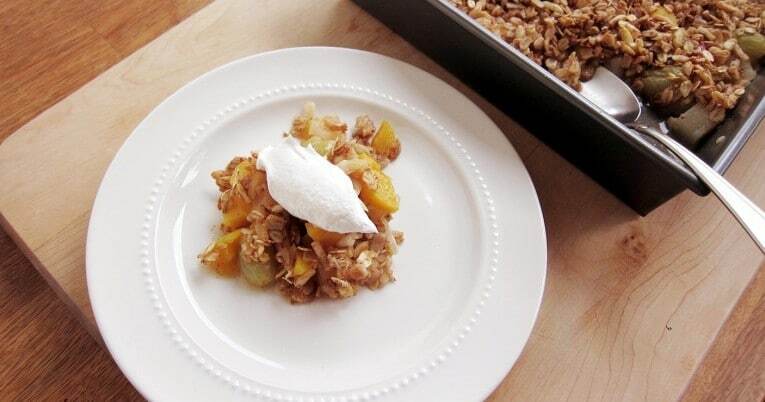 Add fruit and reserved juice to a 2-quart baking dish (8x8x2) and stir. In a medium sized bowl, mix together sugar, cinnamon, oats, slivered almonds, and butter with your hands. The butter should turn into small dots. Pour mixture over fruit cocktail. Bake for 40 minutes or until crisp is brown. Enjoy warm or room temperature.